Newcastle United are having a hard time in the Premier League as they suffered their 11th loss of the season in their last outing. 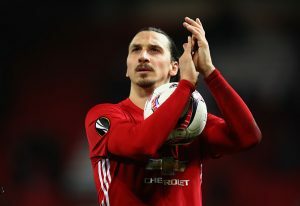 Rafa Benitez’s men were defeated 2-0 by Manchester United and now they would look to salvage some pride when they take on Blackburn Rovers in their next match in the FA Cup. Blackburn, on the other hand, are also in a spot of bother in the Championship and are stranded at the 15th position in the league table. Both the sides would look to edge past the other, making their next encounter one to watch out. Newcastle United have a few injury worries to deal with as players like Mohamed Diame, Ciaran Clark and Federico Fernandez are all struggling with their injuries. 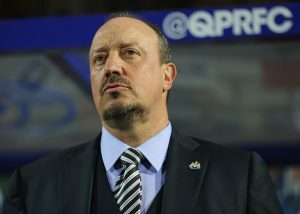 However, Rafa Benitez should be confident about fielding a strong enough side to take on their opponents in the next match. Ki Sung Yueng and Yoshinori Muto have left to represent their national teams in the Asian Cup and hence are unavailable. Martin Dubravka had a torrid time against Manchester United and would be rested for the FA Cup tie. Robert Elliot should start in goal for the Magpies. Jamaal Lascelles would retain his spot in the side as Rafa Benitez is expected to go in with a three-man defensive lineup. The other two to join him in the heart of the defence could be Fabian Schar and Florian Lejeune as Federico Fernandez is unsure of playing in the next match. DeAndre Yedlin and Kenedy would start as wingbacks. Jonjo Shelvey, who dished out a good performance against Manchester United, would begin in the central midfield. 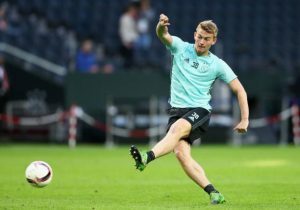 In the absence of Diame, he would be accompanied by Issac Hayden and Matt Ritchie. Saloman Rondon is expected to be rested for the next match. In his absence, the onus would be on Joselu and Ayoze Perez to lead the line for the Magpies against Blackburn. 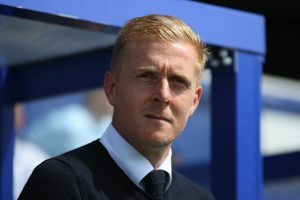 Predicted Leeds United Lineup Vs Blackburn Rovers: Can Garry Monk Turn Things Around? Tottenham Hotspur Lining Up A Move For Blackburn Rovers Midfielder: The Right Choice For Spurs?